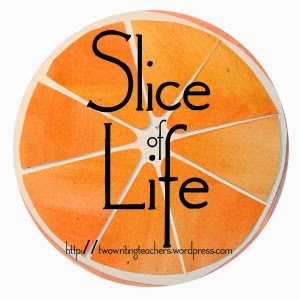 Thanks to Two Writing Teachers for hosting the Slice of Life Challenge. When I was a young girl, we used to tease my grandma about the pound of ground beef she'd get out of the freezer in the morning. Invariably, by noon, Pop would say, "You don't really want to cook tonight, do you? Let's go out to eat." She'd reply, "Are you sure? I don't mind cooking." And we could always count on him to say, "No, let's go out to eat." The ground beef would promptly go back into the freezer. My mom and aunts used to joke that the ground beef was 10 years old...it just kept going in and out of the freezer and never got used. The last 2 days makes me think that maybe I'm a bit like my grandmother. I took salmon out of the freezer yesterday morning. It was Sunday. Surely, I'd have enough time to make dinner. 5:30 last night I say to my husband: Want to go for a walk? 7:00 (after our walk), my husband says to me: Do you really want to go home and make salmon this late? Let's run through Panera and grab a bite to eat. Me: (Secretly very glad he suggested it): Are you sure? I can cook. Husband: No, it's late. Let's just go out. This morning at 7:45 I say to my husband: I'll be home right after school and make the salmon. Fast forward to this afternoon. 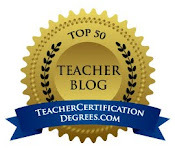 I had an IEP meeting that I forgot about. Then I had some reports to look up and emails to return to parents. I was finally ready to leave at 5:55 tonight. I called home. Me: I'm just now leaving. Husband: Is it too late to start salmon? I'm really hungry. Want to have hot dogs? Husband: Want to go out to eat? Annie and I can meet you in 15 minutes. So, the salmon is still in the fridge waiting to be cooked for dinner. I have a feeling that Grandma is smiling down on me as she watches the routine replayed all these years later. Love the happy dance! Love the connection. Some things don't change. Alright, Julie, this is getting a little weird - this is EXACTLY what I do, too!!! We really are living parallel lives. I love this. Those little rituals are what make us who we are and connect us to generations past. Those words--Do you want to go out to dinner--are music at the end of a long day. I often got told I was like my grandma, but because we both always had our noses stuck in a book. Nice! Magic words: "Wouldn't you rather go out?" or "Let's just go out; it's easier." Sometimes I feel like if I just pull meat out to defrost this will happen... Your slice supports my theory! Thanks for the laugh :). This post was fun to read and made me smile. It's nice when we can recognize we are doing something like grandma. Enjoy the salmon. That is my family! I get an email from my husband today, "I didn't really feel good today so I didn't get anything going for dinner. Can you just pick up Subway for dinner?" This happens more often than it doesn't. Well, guess what? We were going to have my famous spaghetti with my homemade jar sauce (I mean I do stir it and pour it, and make it at home) and DARN we are OUT of my homemade sauce! So for dinner I made a call to flyers! YUMM! Isn't it funny how we become our mothers and/or grandmothers? So, will the salmon come out tomorrow night? 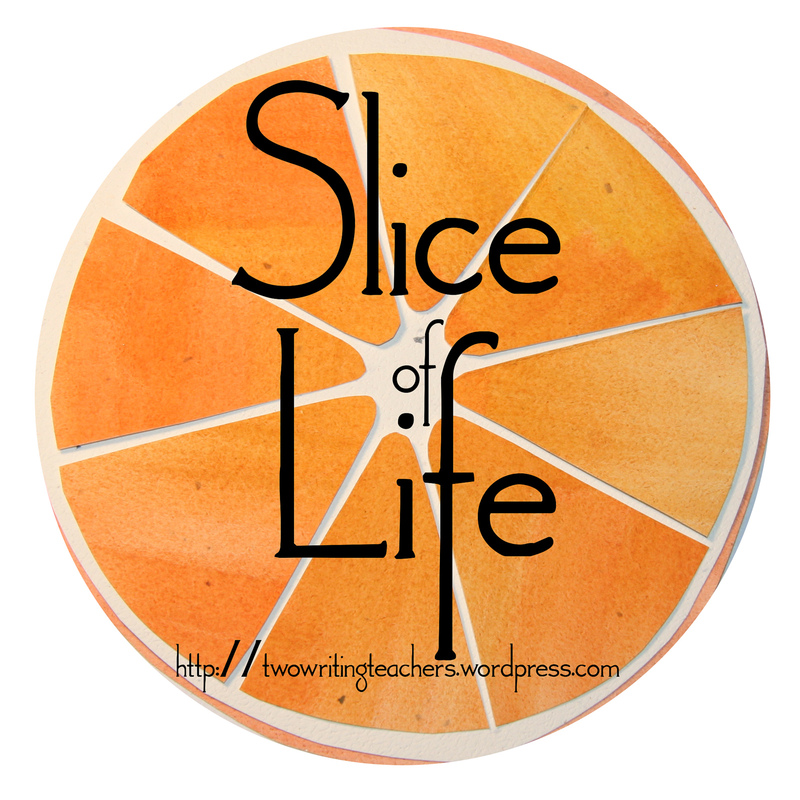 On another note, may I use this slice of life story as one of the featured "be inspired" posts this month? Please email me and lmk if that'd be okay. Thanks Julie!